I've been bitten by the gourmet hot chocolate bug. It's a venomous one. It drove me to send my brother into the driving rain to buy a bag of marshmallows two days ago. From the supermarket he tells me there are no mini marshmallows, the kind we normally find in our instant hot chocolate. I tell him, the big ones are fine. As long as they're white. It's been a stormy past few days. It rained and rained and rained and we've pretty much stayed home to avoid the weather's wrath. Stranded, because of flooding in the streets that threaten only to get worse over the next few hours on account of a nearby dam having been let loose. 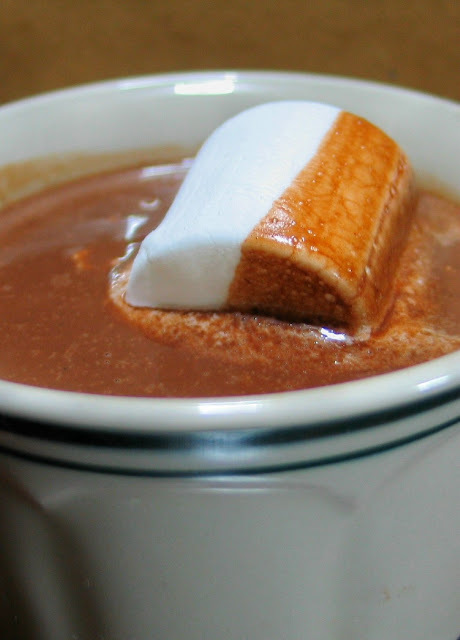 It's a weather that calls for nothing less than smashing good hot chocolate. The kind that sticks to your throat such that you take it only in tiny little sips because that is what is humanly possible, because gulping may cause you to choke. And the kind you have only in small dose cups and not mugs, because... who are you kidding? It's the kind of hot chocolate you'll forgive for its almost impossible richness because it's made of expensive high quality chocolate. Hershey's, Callebaut, and Valrhona are the ones I have laying around the house, all very good quality chocolate. For this really thick rich hot chocolate though, I used the last one. Take no prisoners. In a sauce pan, heat 250ml cream until steam comes out of it. Stir constantly to avoid scorching. Place chocolate (cut chocolate into 1/4 inch thick pieces if in block form) into a bowl and pour in the heated cream. Let sit for about a minute and stir until the chocolate is melted and the mixture emulsified. Whisk together the milk, 1/4 cup cream, and cocoa powder and bring to a boil in a small saucepan over medium heat, whisking continuously to prevent scorching. Remove from heat, and pour over the chocolate and cream mixture. Stir very well until thoroughly combined. Then stir in the vanilla. Pour into cups and top with a marshmallow. 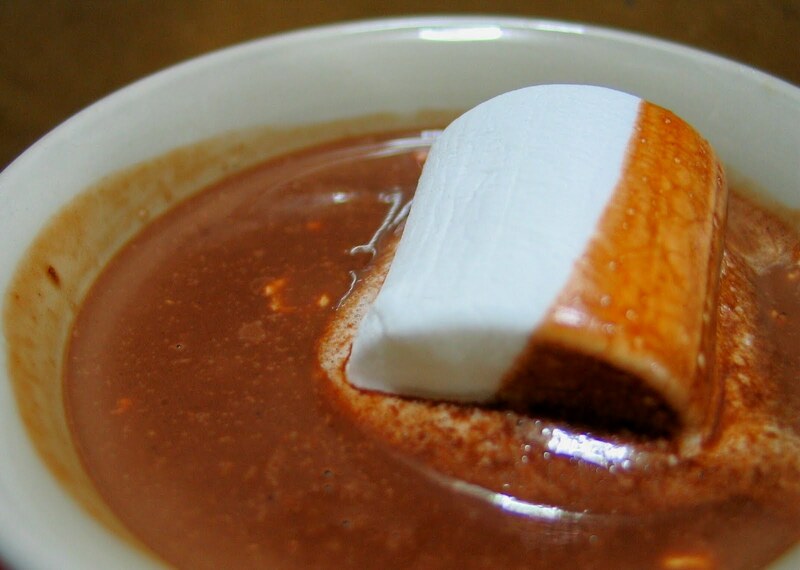 For thinner yet still rich hot chocolate: instead of 1 cup milk and 1/4 cup cream, use 1 1/2 cup milk. hmm. perfect for these cold, rainy day..